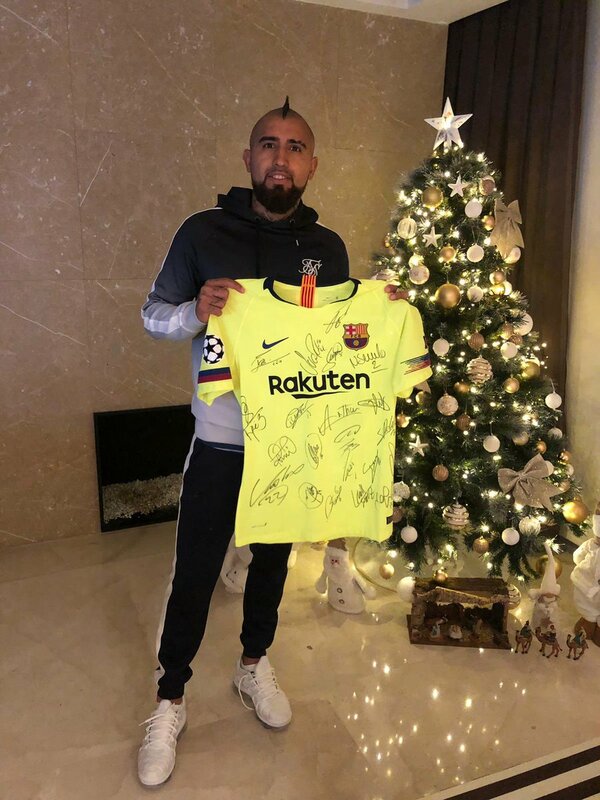 Barcelona midfielder Arturo Vidal has backed Ousmane Dembele to have a fantastic future ahead with the Catalan giants despite experiencing a mixed start to the campaign. The Frenchman’s future has been a topic of question over the past few weeks and he managed to provide the perfect response over the weekend by scoring a late equaliser in the 1-1 draw against Atletico Madrid. “Despite the constant speculation, Dembele has fared impressively this term with six goals“ and one assist across all competitions and he could potentially feature from the off in the midweek Champions League game. Barcelona are currently going through a mini-injury crisis with Luis Suarez and Rafinha among the attackers absent and “this may offer Dembele“ a route into the starting XI when Barcelona make the trip to PSV Eindhoven. The Spanish heavyweights are already on the cusp of reaching the knockouts of the competition and a victory over PSV on Wednesday night would assure their progress with the top position assured. Barcelona are currently at the top of their Champions League group with a three-point advantage over second-placed Inter Milan.